Krishnan and my purpose in life was chosen for us the day we were born in our respective families. It took us nearly 40 years to clearly identify it :). Both our fathers were rich, not with fat bank balances, but a large enough heart to “give”. Their giving never stopped, till their breath stopped and then the baton was passed to us. My father-in-law was a teacher till his last breath and he taught countless students for free. He never made millions but he “made” many men and women. When he passed away, so many of his students came and spoke to Krishnan and Amma about how Govindachari Sir had helped them to pass, top or clear exams and how they are so well placed in life because of him. My father got himself educated by writing accounts in a temple. He started working in the Railways initially just like Krishnan’s father and then with the Military Engineering Services. Seshadri’s send off from every posting was grander than his welcome because he was upright and never made money on the side. Not just that, he helped get children educated wherever he could. Growing up I knew very well that he won’t buy me clothes, jewellery or chocolates etc, but dad was ready to spend for my education. He would keep saying, not eating a meal won’t kill anyone, but children have to study. Dad didn’t have lots of money to give, but he gave whatever little he could and helped educate many children. When Krishnan and I went into our financial hole in 1996 we temporarily focussed on getting to a safe place financially. Infact our recovery started by giving – Krishnan got the opportunity to work on an USAID project and yes he got paid well, but he probably paid back several times over by doing more than what his “job” asked him to. And then I joined Hewitt in 2003 and my “giving” started through Hewitt Cares and the various avenues that it offered. Personally our “giving” restarted and culminated in 2012 when Krishnan and I setup “ShikshaDaan”, our formal vehicle for giving back. Both our fathers were gone and we finally had clarity on the purpose of our lives – “giving to make a difference” and ShikshaDaan brings together both our father’s “giving” ethos. My father-in-law gave education and my father gave for education and ShikshaDaan is educating by giving. Why is 2015 the start of the race of “giving” ? The fact is that the last 25 years or so of our adult life has gone in “taking” from the society and creating our financial safety net. We would like the rest of our life to be spent in “giving” it all back. The start of giving it all back starts from this year and that’s why it’s significant. None of us takes anything with us so why not square off the accounts ? Imagine if everyone in the world spent one half of their life “taking” and the next half “giving” it all back ? We wouldn’t have a world where 85 people out of the 7 billion have as much wealth as the world’s poorest – nearly 3 billion people. Krishnan and I don’t mean to just give out dole, because it doesn’t help in any way except bring momentary relief. Our belief is that people from the lesser privileged sections of the society need education so that they can climb out of that pit of poverty. We don’t know of any other means that is a permanent solution to poverty than ensuring the poor have a means of earning a regular income. Starting this year, expect to see increased activity through ShikshaDaan. The website will get revamped, new campaigns will be launched and expect increased engagement. We still are awaiting the 80 G exemption from the tax authorities and hopefully that administrative detail will get resolved within this month. Request all our friends and followers of this blog to spread the word and help in anyway you can. Our goal is to help educate 1.25 crore people and its a massive goal. Our money alone will not be sufficient to get to that goal. The ask is for everyone to continue earning well, but set aside some of that earning to help educate. 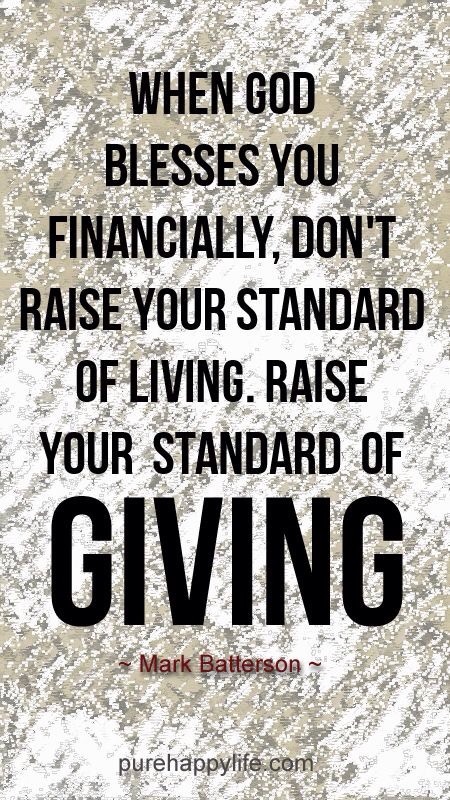 2015 – the “giving” phase of our life has started. Wish us luck, spread the word, give us resources and help us in every way you can to fulfil our purpose of “giving to make a difference”. Get, set, give ! The race begins. Happy New Year everyone :). First of all a Very Happy and Prosperous New Year 2015 to both of you. As always, I admire what you write and this one too like all your blogs is coming straight from your heart. I sincerely wish that you achieve the “giving” you are setting out to achieve 2015 onwards. Will love to sit and discuss more sometime. Agree with you fully, education is the permanent solution. I remember the first time I gave a presentation at AON Hewitt, to share the work done by the NGO I support. I was new to the NGO world. And Presentation/talking in front of a big crowd was not something I was comfortable at. Personally, I always used to hesitate to speak out/share my ideas even in internal meetings. So presentation was way too much to even to think of. Am sure you could recall, I was shaking head to toe and sweating during the presentation. You motivation & support that day, and Krishnan Sir’s several visits to my organization has helped me so much so, that I just walk to any company and speak about the work my organization is doing. And few corporate have extended their support and adopted projects which is helping hundreds of children today. I know I was not the first one to be lucky to meet you, there are many people like me whom you both have empowered. I feel you are already very close to your target, The care & time you both spend to motivate people has a multiplier effect. Thank you for educating me that day, it’s better to take action again & again and get better, than waiting forever for the perfect STRIKE!. Agree 1.25 crore people sounds massive but not for people with good intentions like you both. People who read this,I personally request you all to raise your standard of giving through Shikshadaan foundation. Thanks Mansoor. You are a wonderful person and Krishnan and I are happy to help you exceed your potential in any way we can. Happy new year ! I am a silent follower of your writings… this time felt like I have to comment for the New YEAR 2015… Love it and my hearty wishes to see success in providing the education. EDUCATE BY GIVING…… Wish to be a part of it by any means…. Thanks a lot. Will certainly involve you. We do need everyone’s support for this mammoth project. Thanks again.